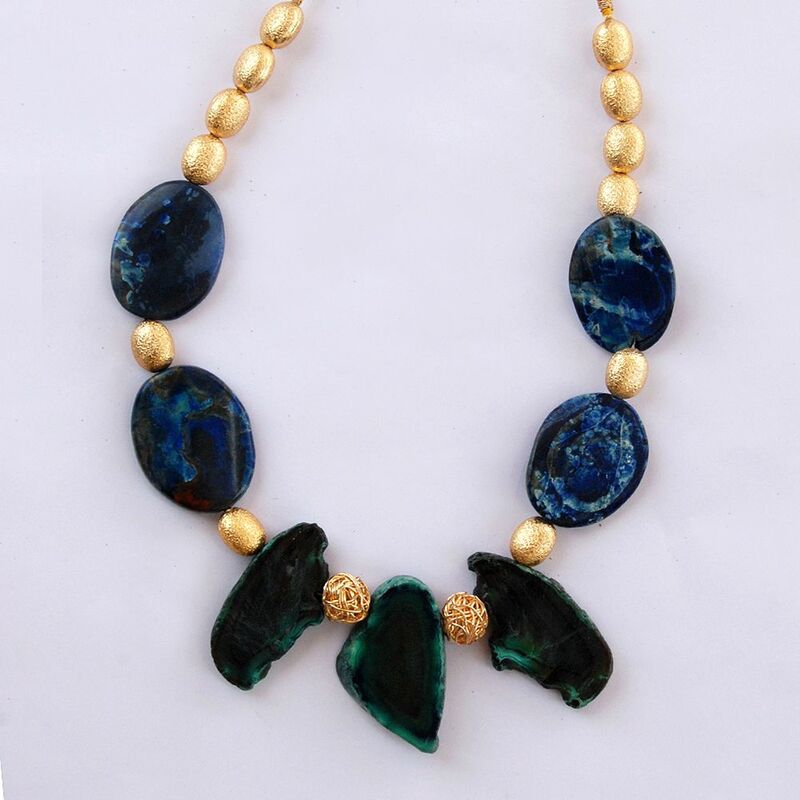 Adorn yourself in this elegant blue & green neckpiece. The neckalce is strung with Blue Agate beads, green Agate Plates & Gold brushed Brass beads. 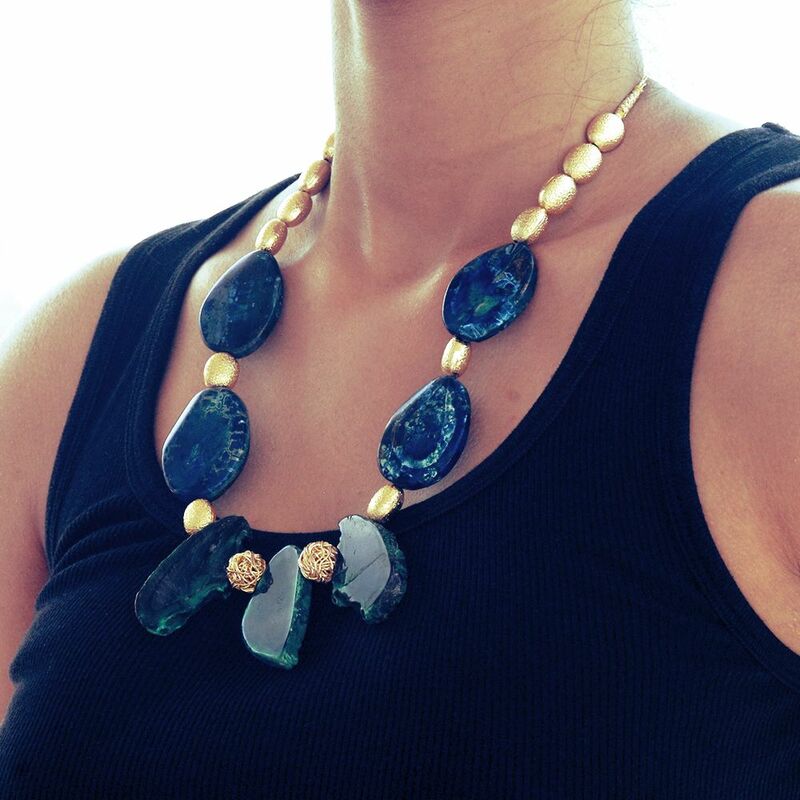 These necklacesare made using completely natural and responsibly sourced stones from all over the world. Each picee is unique and one-of-a-kind. 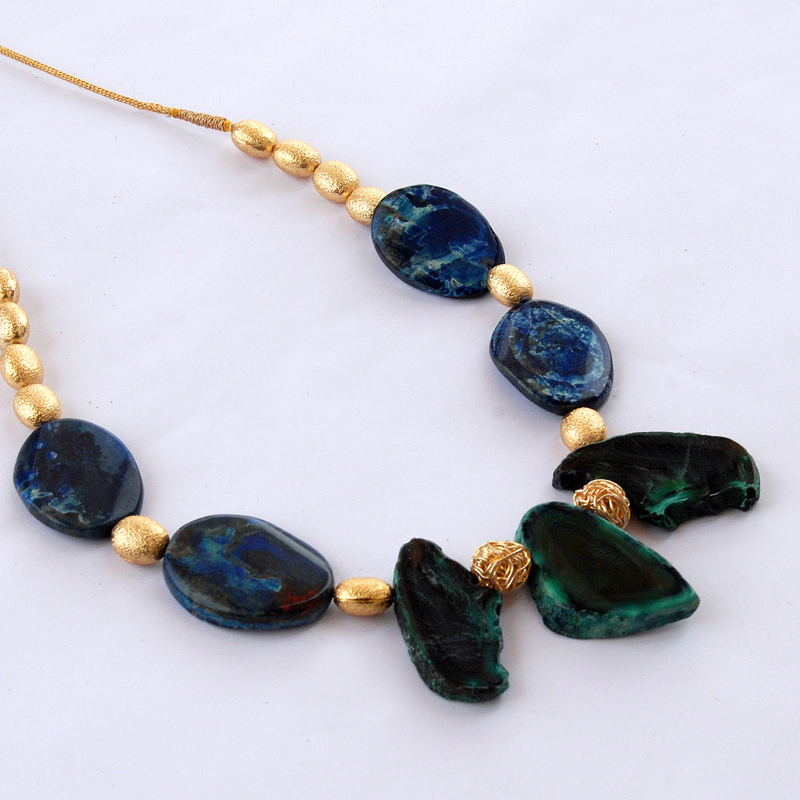 Adorn yourself in this elegant blue & green neckpiece. The neckalce is strung with Blue Agate beads, green Agate Plates & Gold brushed Brass beads. These necklaces are made using completely natural and responsibly sourced stones from all over the world. Each picee is unique and one-of-a-kind. Handle with care as beads are fragile. Avoid direct contact with water. Brass beads can be polished as they can tarnish over time due to oxidation.